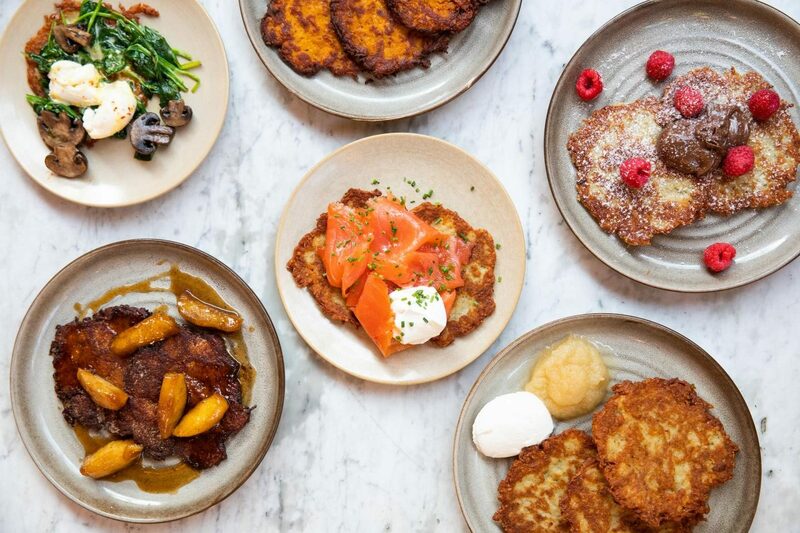 If you are celebrating Hanukkah (December 2 – 10, 2018) or just a lover of latkes, Chef Ben Goodnick of Summer House Santa Monica and Stella Barra Pizzeria is sharing four ways to top your latkes beyond the traditional sour cream or applesauce. Whether you prefer sweet or savory, we’ve got your taste buds covered. Chef Ben also is letting us in on a little secret, his family’s latke recipe! For the full classic latke recipe, click here. Wishing a Happy Hanukkah to all of those celebrating! Latkes can take the place of potatoes in many contexts. They make a great substitution for hash browns in a big fried egg breakfast. Change up the grated potato for sweet potato and leave out the onion which will give you a sweeter version that is great with warm fruits like the delicious caramelized apples or vanilla scented pineapple. 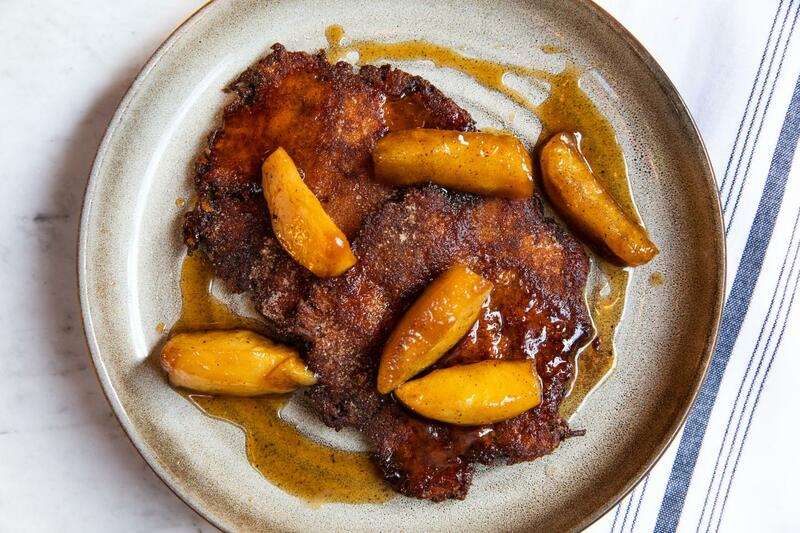 Sprinkle warm latkes with ample cinnamon sugar and top with brown butter caramelized apples. Melt butter in a saute pan and cook until golden. Add the apples and toss to combine. Add brown sugar and cider or water and simmer for 5-10 minutes until apples are tender but not falling apart. 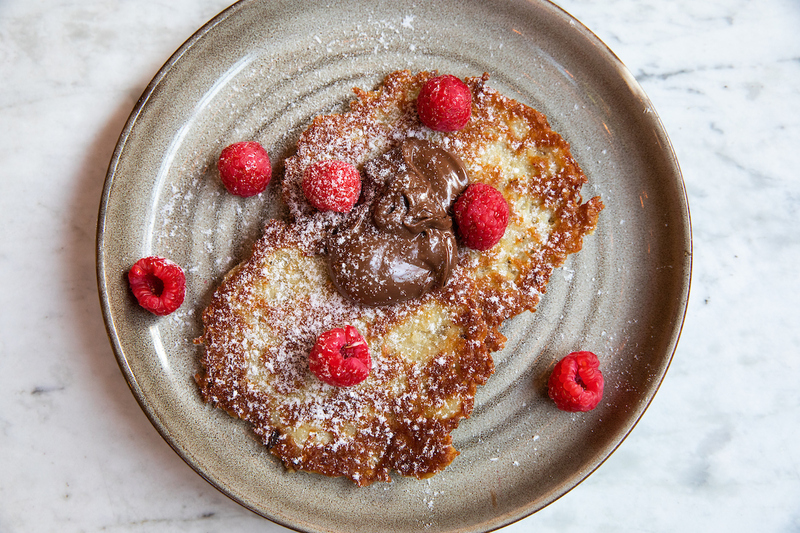 Sprinkle warm latkes with powdered sugar and add dollops of Nutella. Garnish as you like with berries or sliced bananas. This version is easy and great for brunch. 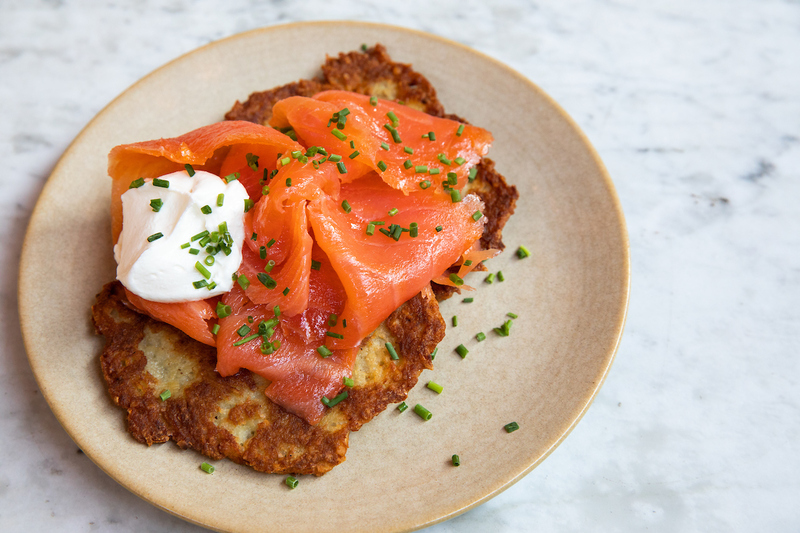 Top the warm latkes with cold smoked salmon or nova lox. Spoon on a bit of sour cream and sprinkle with chives. Place egg yolks in a bowl with the wine. Whip with a whisk while holding the bowl over a simmering pot of water. When the yolks are airy and starting to thicken place the bowl on a folded towel on counter. While continually whisking, drizzle in the melted butter. 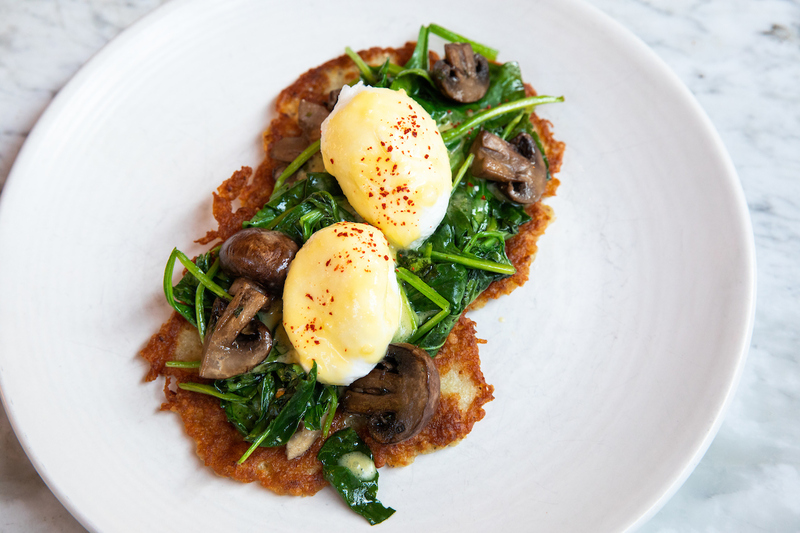 Summer House Santa Monica has Crispy Potato Latkes on its lunch and dinner menus now through Monday, December 10. Join us this holiday season at Summer House Santa Monica, make your next reservation here.